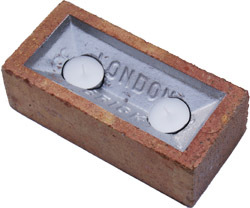 Candle holder and uplighter made from a traditional London brick. 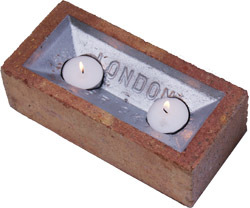 Holds two standard tea light candles, its reflective coated surface directs light upwords. Ideal for an evening garden party or for some suttle mood lighting. It comes complete with two tea lights and cork protective feet.